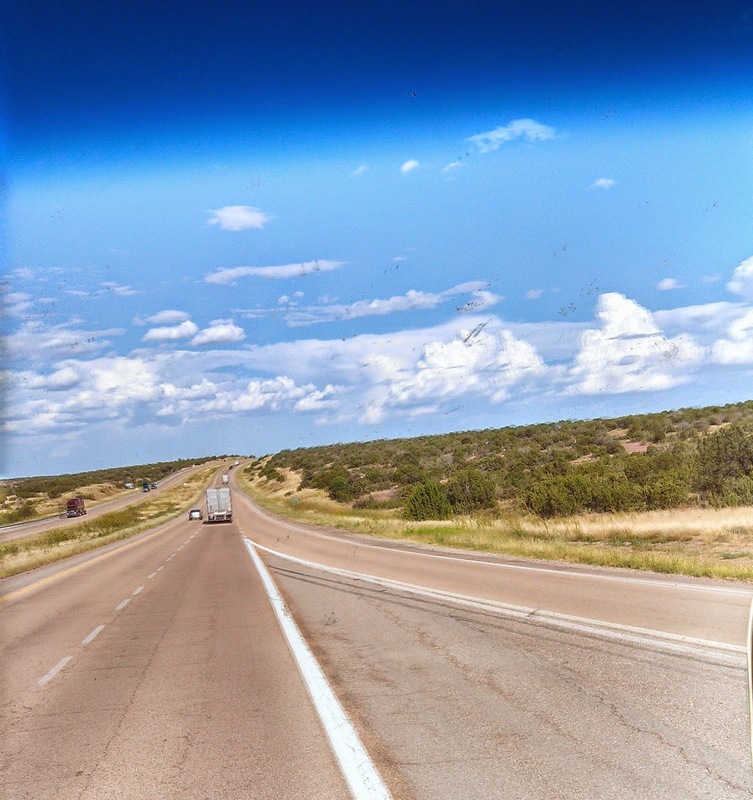 Kathi and I drove from the Albuquerque Freightliner to Amarillo, TX on Wednesday, September 3rd. We were tired when we left the Freightliner at 2:00 pm, but we were ready to get to Texas. We got to the Oasis RV Resort west of Amarillo at 7:50 pm. The hostess told us she was closing in ten minutes, so I guess we were right on time. 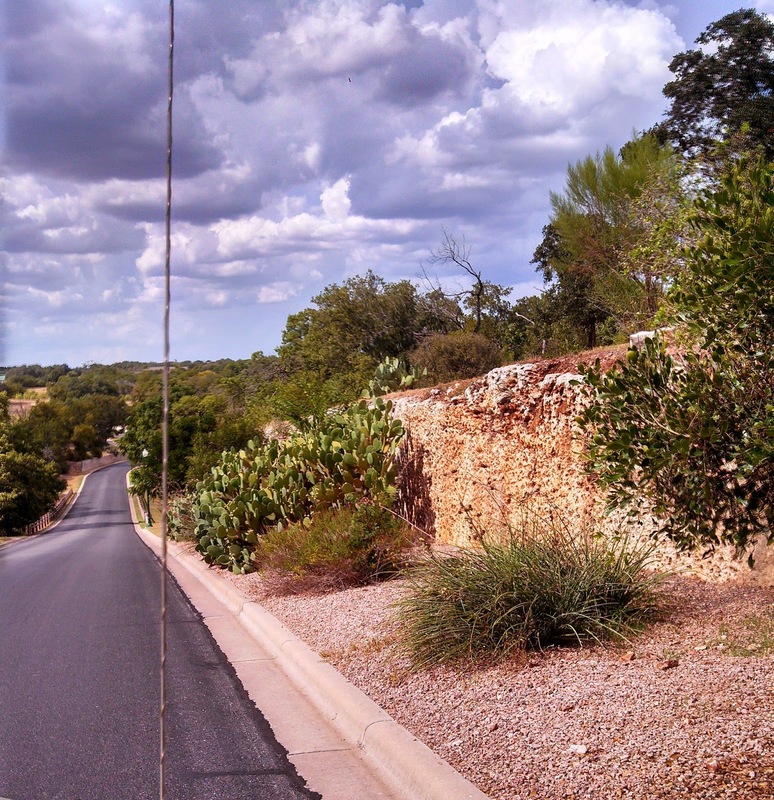 After we got through Albuquerque we did some steep climbs and moderate descents which our motorhome handled adequately after the oil change at Freightliner. The highlights along I-40 during the early part of the trip were light brown grasses near the highway and some small green bushes on the hills away from the highway. We passed The Flying C Ranch and Cline’s Corners, two travel stops along the route. There was almost no other business presence along the open highway. 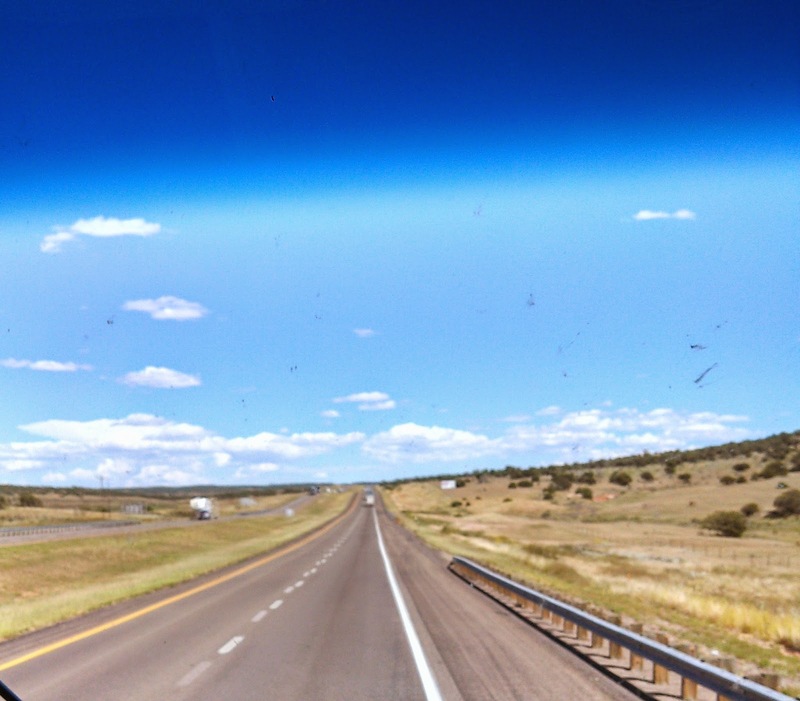 My original thought was to stop in Tucumcari, NM but I started feeling weary early on during the drive, so I began to think the Santa Rosa Campgrounds was a better stopping point. As we neared Santa Rosa we saw the sign encouraging us to see the Billy the Kid Museum at Fort Sumner. Again we resisted the urge to go to the museum. We then started seeing some small sunflowers and some 15” tall grasses with purple awns at the top. It made for nice viewing, with the mountains turning into hills. Just before we got into town we passed an area where the grasses were greener and there were a lot of taller trees with darker green colors that seemed to revive me, so we trudged on. I saw two black sedans being used as unmarked highway patrol vehicles in New Mexico. All their flashing lights were on the interior of the cars. You had to get real close to tell they were law officers. I could tell because both times I saw them their lights were flashing, one had a vehicle stopped and the other appeared to be racing to an emergency. Through the windshield highway view going from Albuquerque to Santa Rosa. Nice coloring for rock wall along I-40. After Santa Rosa on into Tucumcari we saw more green grasses and less brown and a lot more small bushes near the highway. Funny how the browns and tans seemed like downers and the trees and shrubs seemed like uppers. As we neared The Oasis RV Resort in Amarillo we passed a dairy farm with probably three hundred black and white Holstein cows. About two miles further on, the aroma hit us. It was ripe and we could still smell them when we got to the resort. The price was a little high at $33 per night, but the park had paved roads, paved sights and a lot of long pull-throughs so we did not have to unhook. We shared another tiring, but pleasant trip.